On Monday the 10th of February 2014 MPs in the House of Commons are due to decide if to remind ministers of their power to introduce a new offence of smoking in a private vehicle when a child or children are present. Section 5 of the Health Act 2006 already gives ministers powers to ban smoking in vehicles. The existing law allows ministers to require vehicles to be smoke free, and lets them describe: which vehicles; in which circumstances; and in which areas; any such law applies to and to make exemptions. may in particular provide for a private vehicle to be smoke-free where a person under the age of 18 is present in the vehicle. Should MPs approve the motion before them on Monday, all they will technically be doing in my view is drawing ministers’ attention to powers MPs have already delegated to ministers. That MPs have delegated powers to ministers which allow them to introduce such wide-ranging and controversial new laws is concerning. The proposal to introduce the law arose following a vote in the House of Lords on the 29th of January 2014 where 220 Lords voted in favour of such a law, and only 195 voted against. Following that vote the Government, in line with the Lords’ wishes, put forward new wording of the proposals, these were nodded through by the Lords without objection. The Health Act 2006 is amended as follows. (b) in subsection (2), for “The regulations” substitute “Regulations under this section”. (b) after “descriptions of” insert “person or”. On Monday the 10th of February MPs in the House of Commons will consider the Lords amendments to the Children and Families Bill. They will consider a motion asking them if they agree or disagree with the Lords amendments. It is possible that an MP may proposed an “amendment in-lieu” of the Lords amendment ie. to replace the proposal from the Lords with something else. This entry was posted on February 7, 2014 by Richard Taylor. On Monday MPs have a choice to make. It’s about whether people should be allowed to smoke in cars carrying children. I’d be really interested in your opinions, because there are two important considerations that have to be balanced. On the one hand, health campaigners have been highlighting the damage that can be caused to children when adults smoke in a car they are travelling in. Levels of secondhand smoke in cars can be far higher than in buildings as the smoke circulates in such a small space. Canadian research found that secondhand smoke was 11 times higher in a car than in a bar, where smoking was permitted. So a ban would be good for children’s health. On the other hand, such a ban would probably be difficult to enforce, and is an invasion of privacy. We don’t control whether parents smoke when at home with their children, so why should we control what they do in their car? I was a keen supporter of the original smoking ban and think it has had tremendous benefits for public health – and made many pubs and other places much more pleasant to be in. I think this decision is more finely balanced than the original one, although I do have my own personal preference. I would very much like to hear what you think – you can vote in my online poll by clicking here. You can also pass this on to other people in Cambridge who may be interested, and they can also sign up to get these emails as well. If MP Julian Huppert is saying MPs will have a choice to make on the substance of if there ought be an offence of smoking in a private car in the presence of a chid then presumably he is revealing he is aware of a proposed amendment, perhaps on deleting section 5 of the Health Act 2006 altogether or on a proposal to actually bring in the new offence (rather than just remind ministers they have the power to bring it in) . While technically ministers already have the power to introduce a new offence of smoking in a private vehicle when a child or children are present; the debate and vote in Parliament probably will be important as the Government can’t go against the sustained view of MPs. I would rather see MPs actually voting on if proposed new law ought be introduced, and not on the rather obscure question of if they ought do more to point ministers to the powers ministers already have. I would like to see MPs, either for, or against, the proposal putting forward amendments to the proposal from the Lords, so there will be a clear vote on the substance of the issue. As yet Parliament’s webpage on the Children and Families Bill 2012-13 to 2013-14 doesn’t include the amendment sheet showing what exactly MPs will be considering on Monday. Sometimes MPs, and the public, only find out exactly what they will be debating and potentially voting on hours before the debate and vote. This makes it hard for MPs to consult their constituents and hard for people to know when it would be a good time to lobby their MPs on an issue. Where parents do things which are detrimental to the health of their children wider society should, if what the parents are doing is serious enough, step in. The question is one of what is proportional action; what kind of behaviour should we, society, leave up to parents, at what point should we create an offence enforced with fines or jail time (as we do with parents who don’t send their children to school), and in extreme cases – at what point should the state take children away from their parents? I think the first step (where greater intervention isn’t needed urgently to save lives or prevent immediate serious harm) should always be to provide help and education. We have a police force who can be asked to enforce a law against smoking in cars with children via Fixed Penalty Notices – this is what would be used if the proposed law was enacted. Do we have a state infrastructure which can be asked to offer education to those carrying out potentially harmful behaviour? … well we have police forces which offer speed awareness education courses, and we have courts to sentence people to courses on various subjects (typically things like anger management and “thinking skills”). Rather than creating a new offence, I would like to see our elected representatives try to get information and education to those who need it, though I don’t think we ought create an offence and only provide that help and education once we’ve criminalised people. Too often in other areas (eg. addiction) the easiest route to getting help is to commit a criminal offence, we need to correct that and not add another area where as part of getting people help we criminalise them. I agree with Julian Huppert’s point that it’s inconsistent if we create an offence relating to smoking in the presence of children in cars, but don’t consider smoking in the presence of children in their homes to be an offence. If we want to protect children’s health I don’t think the proposed criminalisation of smoking in cars in the presence of children is a good way of going about it. I’d think strengthening the health system, and improving health education in schools is where we should be focusing our attention, not on creating new criminal offences. I would focus on strengthening the health system, ensuring people have access to good GPs (who can offer education), and work on improving health education in schools. I’ve replied to Julian Huppert’s survey to express my views. Getting rid of Section 5 of the Health Act would only affect the law in relation to smoking in vehicles. If abolishing Section 5 of the Health Act it would necessary to ensure the Part 3 of The Smoke-free (Exemptions and Vehicles) Regulations 2007 was kept in-force, banning smoking on vehicles used by the public eg. busses and taxis. 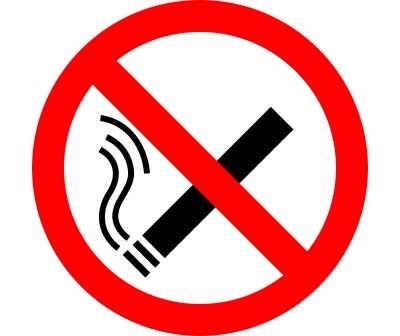 There is a regulation made, which refers to Section 5 of the Health Act 2006 : The Smoke-free (Vehicle Operators and Penalty Notices) Regulations 2007, that sets the fine at £200 for not displaying no-smoking signs as required under section 6 of the Act. It appears that if an offence of smoking in a private vehicle when a child or children are present was introduced it might also become an offence not to display a sign in private vehicles explaining the law. This would depend on the wording of any regulations actually bringing in the law. Cambridge MP Julian Huppert did not speak in the House of Commons debate leading up to the vote. Cambridge MP Julian Huppert voted in favour of a new law requiring private vehicles be smoke-free where a person under the age of 18 is present in the vehicle.